Will Johnson makes smoky music that simmers understatedly, rewarding you for spending time sitting with it. The frontman for Centro-Matic / South San Gabriel, Will’s also made music these last few years with Monsters of Folk (with Conor Oberst, M. Ward, and Jim James) as well as that great Woody Guthrie album with Jay Farrar and Jim James earlier this year. This opening track off Scorpion (his first solo record in eight years) wrestles exquisitely with “what to do with the golden beast of love,” but this song is not, as they say, a victory march. The first 90% of this song feels hesitant, and beautifully unsure. It grows slowly. There’s something in the emotional map of this song that feels like the end of a soul-sucking workday, when you come home and slip off your shoes and sit there in your stocking feet in a dark living room with a glass of something amber and alcoholic. It’s rife with doubt, and little flashes of bliss. It feels like a stumbling relationship. It’s only for the very, very last final measures of the song that finally all the pieces come together that have been missing colliding with each other for the whole song — finally, the rhythm clicks double time and the melody falls into that simple ladder step progression that’s so satisfying. The whole song is a weary unfolding of fits and starts. That dopamine-rush of an ending makes me think it was worth it, for just a few measures. And then it’s over; unresolved. Damn you, Will Johnson, for leaving things as messy as our real lives. 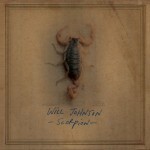 Scorpion is out on September 11, a self-release distributed through Thirty Tigers/Undertow Records (Avett Brothers, Dave Bazan, Joe Pug, Langhorne Slim). You can listen to the entire album now over on his site. I honestly haven’t been able to get over this first track, so I haven’t even listened to the whole thing yet. One of these days I’ll stop wanting to click “play again” on Track 1. Not today. Tagged with centro-matic, will johnson. This song is flat out gorgeous. It makes my heart ache in the best way. right around 2:51, where he offers up that line about the golden beast of love, and then that pregnant pause, so so filled with ache – it almost physically pains me to listen to. i don’t mind. Will Johnson is a genius. I had the great pleasure of promoting shows in Brighton, UK, for Centro-matic, South San Gabriel and Will solo, and he is a lovely guy to boot. Anyone reading this post by Heather who is not familiar with the man’s work, I can recommend pretty much everything he and his talented cohorts have released the last 20 years. As I say, a genius. Of course he’s playing in Chicago the same night as The Avett Brothers and Justin Townes Earle. There really are some terrible concert overlaps this fall in the Windy City. I am a” Johnny Come Lately” to the Will Johnson bandwagon. I saw him with Jay Farrar, Anders Parker and Yim Yames for their Woody Guthrie tour, becoming hooked that night. 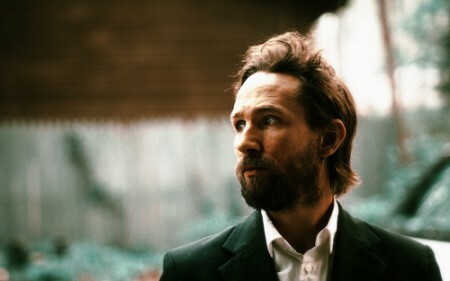 Not much that hasn’t been said here, but still, what a fine artist, singer and writer. Love the FUEL for sharing artists like this.